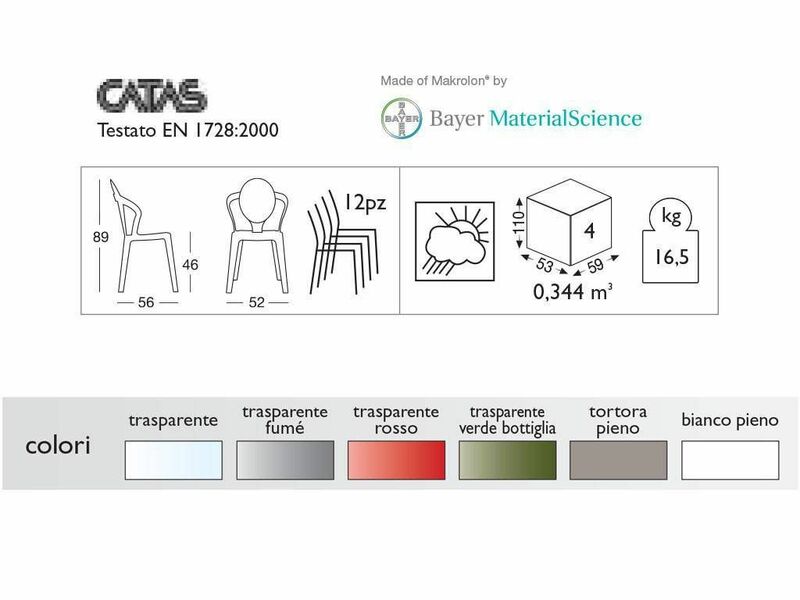 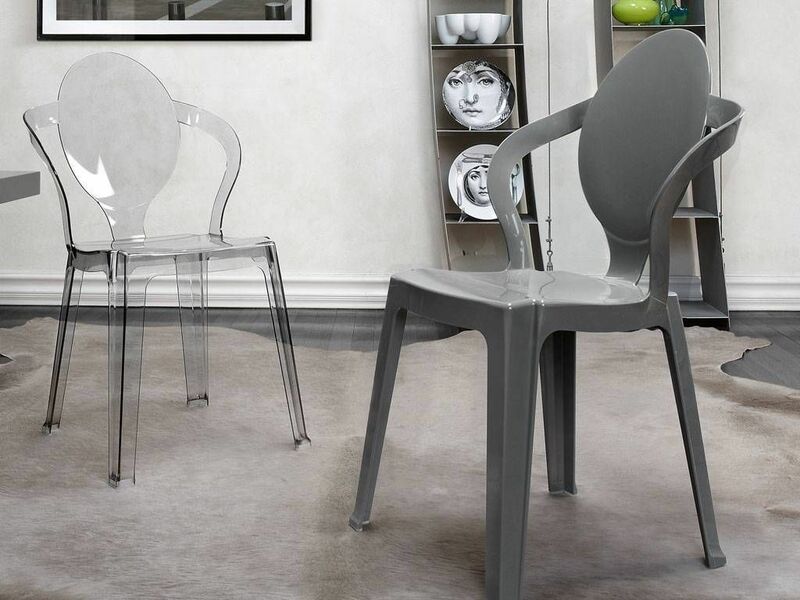 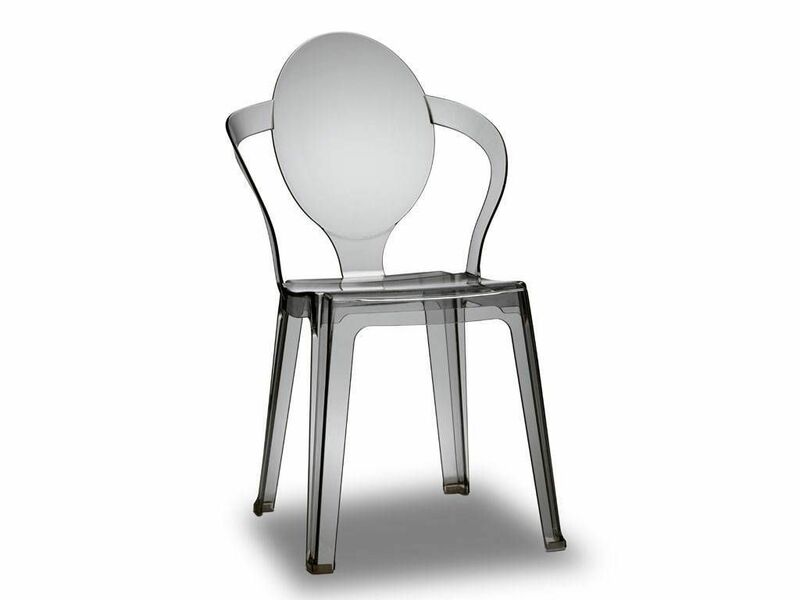 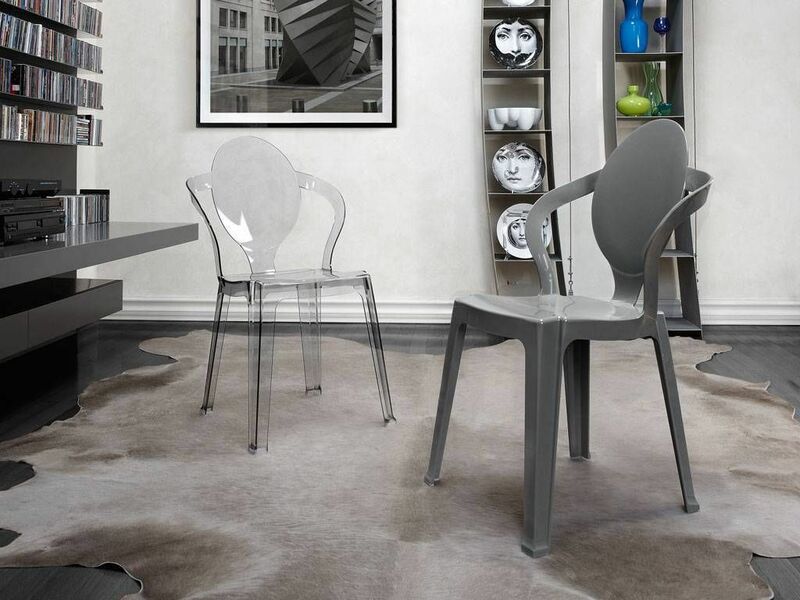 Chair recyclable polycarbonate trasparent or colored transparent. 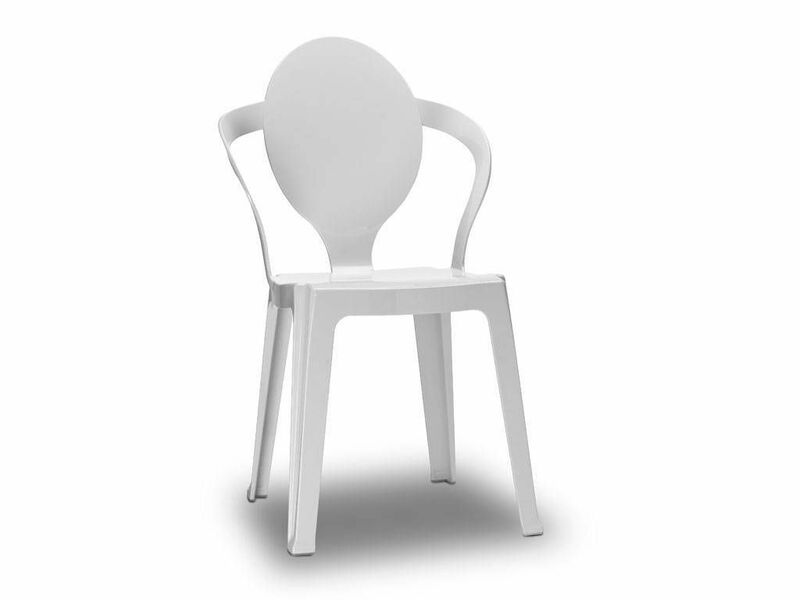 Slightly concave oval back, combines a modern harmony of lines original structural capacity. 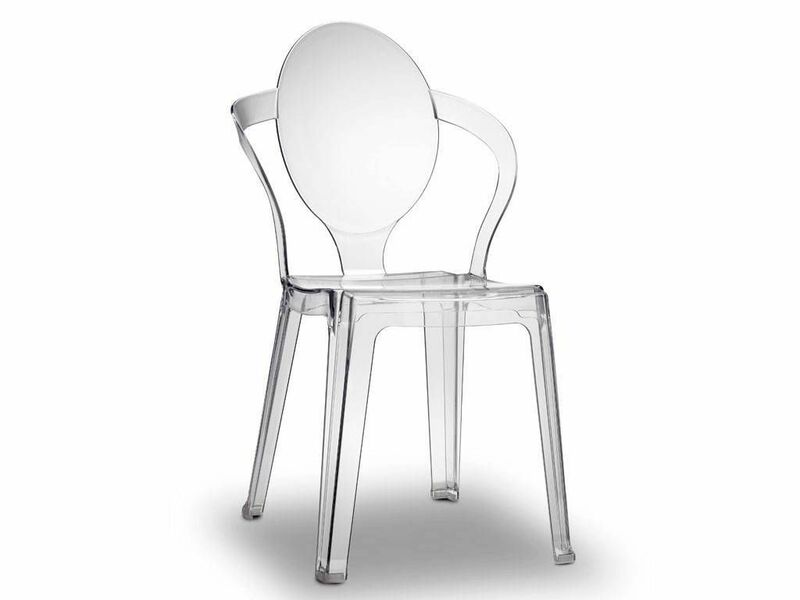 Indoor/outdoor use.